A young man walking the deserted streets of Seattle is pursued and attacked by a mysterious culprit. When he’s bitten on the hand he writhes on the ground in total agony. Seattle is under siege of what local officials is calling a possible serial killer. The city is also being plagued by a rash of missing people reports. Meanwhile in a beautiful meadow in Forks, Washington, Edward is asking Bella to marry him. Having come from divorced parents, she does not have much faith in the institution. Edward promises that he will “turn” Bella into a vampire like him but only is she says yes to his proposal. He wants her to think very carefully about this decision to become part of his undead family and the consequences of not seeing her family any more. Her father doesn’t have any idea of the true nature of Bella’s boyfriend. He only knows that he spells trouble in her life. He encourages her to call her old friend Jacob who has not talked to her in a few weeks. Jacob’s wolf pack is aware of his feeling for Bella by their unique ability to hear each other’s thoughts. When Jacob and Bella finally see each other Jacob is determined to get Bella to admit that she also loves him. Alice with her gift for foresight sees a newborn vampire army being assembled. Newly made vamps are very strong and hard to kill as they are lost in their imperative to feed. The Cullens realize that Victoria is behind this new development in her attempt to seek revenge for the death of her boyfriend by Edward’s hand. The Cullens must make an alliance with the wolf pack to fight. The third part of the Twilight Saga is directed by David Slade who also did 30 Days of Nights. The special effects and action sequences flow with more precision than the last 2 films. The lead trio, Kristen Stewart, Robert Pattinson and Taylor Lautner show more confidence in their characters. Considering the painfully stiff performances in the earlier films this one seems almost more natural and familiar. The other cast and characters are all given all too brief screen time. The back story of the Cullen kids are explored with flashbacks which was infinitely more interesting than the whole Jacob or Edward thing. The main plot of the book and movie deals with the war between the newbie vamps, the Cullen’s and the wolf pack. Where the book goes into detail with the battle and the Volturi aftermath, this movie plays to the fans of team Jacob or team Edward. Bella has to admit and confront her true feelings for Jacob culminating in a kiss between them. I’m not really giving spoilers because if you are going to see this movie it’s because you’ve read the books. A major portion of the movie deals with Bella’s decision to be “turned” before her birthday so she will not be physically older than Edward. While Jacob is trying to convince her that she can live and that she belongs with him. It would have been more interesting to have more focus on the action than all the insipid angst. Of the 3 films so far, this one is the best of the series. 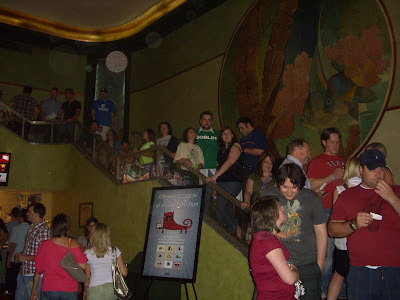 Hoards of fans will fill the theaters no matter what, but it helps to have either seen the first two movies or read the books. Holy smokes it's hot outside. Makes those ice cold Angelika Theater houses seem like a welcome reprieve. Obviously the big movies of the week are Eclipse and Airbender. The later being more available than the first. Don't know if anyone who got an Eclipse pass will want to give it up. You are welcome to try, but please keep the mooching to a minimum. And wait to see if you won them from the movie partners offering contests. Those of you who act like you just found out there are movie screening this week, please read your group email. Bookmark the group page and read the archived messages to see what contests popped up while you were asleep at the wheel. Check the calendar daily for any changes that could have occurred. You snooze, you lose. he group, send it to your moderators and we will pass on the information. then it will be deleted. A man is nonchalantly checking out the people at the airport in Wichita. For some reason he’s paying particular attention to a type of woman. Single and traveling alone. A somewhat clumsy woman comes in pulling a very heavy suitcase, the man “bumps” into her. She goes through security with car parts. The man bumps into her again. When she is told there are no seats on her flight, the man cryptically tells her that “sometimes things happen for a reason”. At the last minute the stewardess comes out and says there was a seat for her. She enters the plane and it’s practically empty. She strikes up a flirtatious conversation with the man who bumped into her. She excuses herself to use the restroom while she contemplates whether she should indulge in the flirting, the man is busy fighting the remaining passengers on the plane who all happen to be assassins, including the pilots and the stewardess. When the woman comes out and sees the carnage she’s confused by the man’s kind of matter of fact way about him while he’s trying to keep her calm. 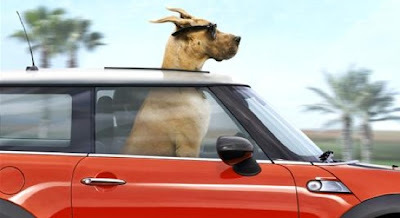 Thus begins the newest adventure comedy with Tom Cruise as CIA agent Roy Miller and Cameron Diaz as car restorer on her way to her sister’s wedding, June Havens. Miller is accused by his partner of going rogue and stealing a super battery. Miller has what they are seeking, but he thinks his partner (Peter Sarsgaard) is the culprit. As much as he is trying to protect June from becoming involved, she gets into more hot water and he must come to her rescue in completely improbable situations as Roy whisks her off to exotic location and doing it after she’s been drugged to unconsciousness. 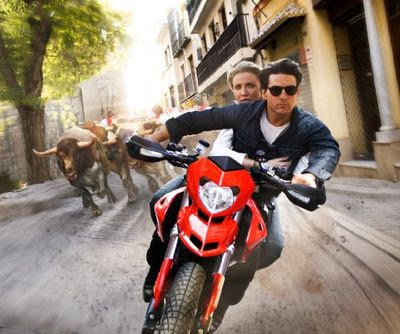 There are numerous car chases with one in the middle of a bull stampede. Roy also shoots her firefighter ex-boyfriend, and then tells him it’s all good. They end up in Boston, the Alps, Austria, Spain, the Azores and June finds this out each time after waking up. Paul Dano plays a mentally unstable scientist that Miller was in charge of protecting. Viola Davis is CIA director George who wants Miller stopped. James Mangold who directed more superior 3:10 to Yuma focus’s on the star power of Diaz and Cruise but it can’t quite save the script by writer Patrick O’Neill. The plot holes are big enough to drive a truck through. Cruise who has been trying to recreate his career with his comic character success in Tropic of Thunder, fortunately doesn’t go over the top with the excessively polite and calm Agent Miller. Cameron knows how to work the daffy comic vixen that is both competent and ditzy. But both stars are getting to that point where they are just a little too old for the meet cute action/adventure roles. As long as you check your brain at the door enjoy it for the light-hearted summer movie that it is and you should have a good time. This Saturday, June 26, two cast members from THE TWILIGHT SAGA: ECLIPSE will be in Dallas for TWILIGHT Night at the AT&T Plaza at American Airlines Center. No word on who that will be...so if you are a Twilight fan, then come out and enjoy! In celebration of the lunar eclipse on the evening of June 26th, Summit Entertainment is inviting everyone across the nation to “TWILIGHT Night,” a 12-city event including outdoor screenings of TWILIGHT and THE TWIILGHT SAGA: NEW MOON. The family and community-oriented events are the perfect chance for those new to the film franchise as well as moviegoers in general to immerse themselves in THE TWILIGHT SAGA phenomenon just in time for the highly anticipated theatrical release of THE TWILIGHT SAGA: ECLIPSE, the third installment of Summit Entertainment’s TWILIGHT SAGA film franchise, on June 30th. Not a busy movie week. I was trying to find more info on those "tba" movie theaters with no luck. If anyone finds out where they are (like win a pass), please let us know. I know a lot of y'all are anxiously awaiting passes for the Eclipse screening next week. Just a reminder that you must make an honest attempt to get them on your own. And please don't fill up our mail boxes with gimme's. Most likely who ever won a pass will not give it up. Thanks for your cooperation. Whenever someone mentions Joan Rivers it is usually followed by a groan. The most immediate image in one’s mind is an over made up older woman who has indulged in one too many plastic surgeries selling jewelry on QVC. Documentary filmmakers Ricki Stern and Anne Sundberg (The Devil Came on Horseback, The Trials of Darryl Hunt) followed Ms. Rivers for 14 months starting with her 75th birthday to examine the life of the iconic woman of comedy. Most people forget that Joan Rivers started out in the early 60’s at various comedy clubs in New York before her first guest appearance on The Tonight Show which was then hosted by Jack Paar. She appeared on Ed Sullivan, the Carol Burnett Show and released a couple comedy albums. Rivers had what would have been considered a cutting edge humor. At a time when woman’s liberation was on the fore front, Rivers spoke about issues to which the female audience could relate. Her famous tag line “Can we talk?” is a federal trademark. 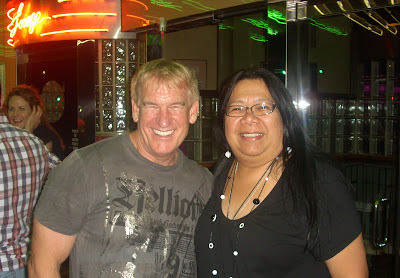 In the 80’s she became a regular guest host for Johnny’s Carson’s tonight show with Carson as her mentor. When she was offered her own TV show on another channel, Carson stopped speaking to her. Rivers allowed the filmmakers complete access to her daily life. In her mid 70’s her main goal each day is to fill her daily calendar with appearances, interviews, selling her merchandise, movies, and TV. Her elaborately decorated home in NY speaks to the kind of lifestyle she wants to maintain, which means the need to keep working as much and as often as she can, even if it means filming a Depends (adult diaper) commercial. Rivers is a successful business woman who has her own fashion accessory line that she hawks on QVC television. She even won the Celebrity Apprentice. She does stand up comedy all over the country playing at casinos, resorts, clubs, and wherever she can. Appreciative audiences in the small towns are subjected to her raunchy acute humor and Joan is very generous with her fans afterwards. This documentary offers an unexpected glimpse into the life a woman that not only broke ground for other comedienne’s like Kathy Griffin, but as a mom, grandmother, hard working businesswoman, and entertainer for the past 50 years, and with probably more to come. John’s ex wife comes over because he’s not answering his phone and walks in at the most inopportune time. She came over with news that she’s going to marry her current boyfriend and invites him to get out and meet new women. She and John have been divorced for several years, but John is still not over it. He goes to the party and attempts to start conversations with women get him immediately shot down. After several drinks he confesses his heart to the most unattractive woman and even she fakes a feigned phone call to walk away from him. He meets Molly in the backyard while he’s using a bush as a bathroom. They hit it off right away. John couldn’t be happier until he meets her son Cyrus. John (John C. Reily) doesn’t understand why beautiful Molly (Marisa Tomei) is mysterious about her living situation. After the 2nd night of her taking out, he decides to follow her. He falls asleep and wakens to find him self still in his car. He snoops around until he’s confronted with Cyrus (Jonah Hill). Cyrus invites him in while they uncomfortable small talk and Cyrus plays his electronic synth music compositions. Molly comes dancing in the house surprised to find John. Cyrus asks John to have dinner. John begins to notice the more than quirky relationship between son and mother. Molly was a single mom who home schooled her child. They are more like good friends with their own routine and company. Cyrus acts all sweetness and light with John in front of his mother, but even John suspects that Cyrus is trying to sabotage his mom’s new relationship. John still confides and confesses all to his ex wife Jamie (Catherine Keener) much to the consternation of her fiancé. Written and directed by the brother team of Jake and Mark Duplass who filmed it like a documentary and having no rehearsal for their cast. The characters interact with each other pretty much like real life. There’s lots of hem’s and haws, awkward silences, and its just as boring as real life. The movie is being marketed as a comedy, but it’s really more like a dramady. John C. Reilly plays the same sad sack person that he’s done before. Keener is wasted as the exasperated first wife who has to listen to John talk forever about his angst with Molly. Jonah Hill who’s known mostly for his comedy films, plays this more seriously. Marisa Tomei has the more complicated person to decipher as Molly is a loving mom, who wants to create a new one with John and not seeing how her son is manipulating her. There are some amusing moments, but the story crawls with highly dysfunctional characters. Syracuse is down on his luck fisherman in Ireland. He is devoted to his ill young daughter by his ex wife. One day Syracuse brings up his nets on his trawler and there’s a woman entangled within. Amazingly she’s still alive, but seems to suffer from a lack of memory. She calls herself Ondine, as this is name of the water spirit and it seemed fitting. When his daughter Annie (Alison Barry) asks her father if “Anything strange or wonderful” happened that day he tells her a story of a woman found in a net. His precocious child tells him that the woman must be a selkie, a creature that changes shape from a seal to a woman and back again. Syracuse (Colin Farrell) hides Ondine (Alicja Bachleda) at his mother’s old house by the water as she is afraid to be seen. Ondine goes along with the mermaid persona to that point where Syracuse almost believes it. Especially since his luck seemed to change when he took her with him on his fishing trips, he manages to bring in big catches. Life has been hard on him with an alcoholic ex wife, a daughter with some series of health issues that require her to travel about town in an motorized wheel chair and have dialysis treatments. Annie goes to the library and studies on the legends wants to believe that Ondine is a real selkie. Ondine takes her swimming and finds this seaweed covered package on the sea bottom. Annie assumes this is Ondines seal coat that once it’s hidden she can stay in her human form until it’s found and returned to her again. Syracuse seeks the advice of the local priest (Stephen Rea) in the confession that he seems to use as an AA meeting to keep from drinking. There is no denying that Ondine is making him happy and she in turn has brought joy in Annie’s life too. Neil Jordan directed and wrote this fanciful little story about hope, salvation and the power to believe. Colin Farrell gives a much understated performance of a man who can’t believe the tenuous nature of his luck. The beautiful Alicja Bachleda has an ethereal quality and tantalizes the audience with her gracefulness in the seas. But the movie is stolen from both of them by Alison Barry who keeps both characters grounded by her sweet good natured attitude. The final reveal of who is Ondine and how she ended up in the nets brings the movie to a quick stop because at this point you are hoping that she really is a selkie. It’s the Civil War and Jonah Hex finds that it’s the one thing he’s good at. He’s fighting for the South, but one day his commander gives and order he cannot follow. He ends up killing his best friend who happens to be the commander’s son. His commander exacts revenge by having Jonah’s family burned in a house fire in front of him, then had his face branded. Left for dead, he survives after 12 days when an Indian tribe finds him and heals him. Jonah believes being that close to death had given the ability to understand the crows and to speak to the dead. Jonah (Josh Brolin) survives from sheer will to exact revenge on Quentin Turnbull (John Malcovich). When he finds out that he was killed, Hex turns to bounty hunting for a profit. The thing is, he’s more likely to bring those back dead than alive. The bounty ends up higher on Hex then to pay out for the bad guy bodies that Hex turns in. This does not end well as Hex is ready to survive the confrontation with superior fire power. (Gatling guns attached to the sides of a horse). The Jonah Hex character has been around since the seventies appearing the comic series called Weird Western Tales. Later in the eighties he was a bounty hunter fighting zombies. 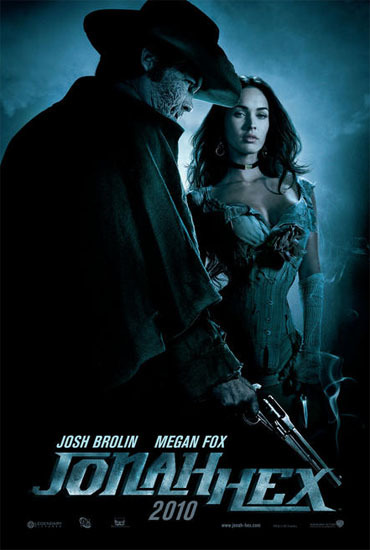 A combination of Clint Eastwood and John Wayne in alternative universe, Jonah Hex doesn’t have super powers, just the ability to talk to the dead. He gets shot plenty of times. Animator Jimmy Hayward directed Hex and Horton Hears a Hoo. Writers Mark Neveldine and Brian Taylor who both wrote Gamer, keeps the dialogue to a minimum and the action pumped up. Brolin is very comfortable in role of the lone avenger with a sense of right and wrong. Malcovich as the terrorist Turnbull is not given any back story of why he wants to destroy the world as we know it. Megan Fox is a barely dressed plot device that Turnbull can use to lure in Hex. The characters are the typical stereotypes, but the production moves along quickly so you won’t worry about details…like why is Turnbull an anarchist in the first place. Fans of this genre will enjoy fighting sequences and explosions. 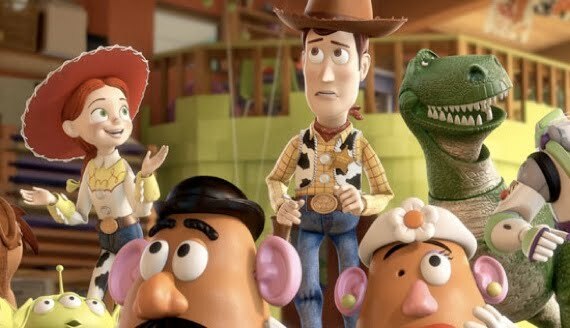 Woody, Buzz Lightyear and all the toys in Andy’s toy chest are trying to find a way to get Andy to play with them again. The plan comes to naught as Andy, now 18 years old and soon to be heading off to college doesn’t have the interest. The toys realize their fate must be the attic, the trash or becoming separated by being sold at a yard sale. The toys vow to stick together no matter what. When Andy’s mother (Laurie Metcalf) finally convinces him to separate his belongings for college, attic or trash, Andy (John Morris) recalls the fun that his toys had given him over the years, and decides to take Woody (Tom Hanks) with him to college and the rest would go to the attic. Unfortunately the toy bag is mistaken for trash and is put out to the curb. Buzz (Tim Allen), Jessie (Joan Cuasak) and the rest are still traumatized to believe Woody when he tells them they were destined for the attic. Instead they decide to take control of their own lives have themselves donated to the local daycare center. At first they believe they have found the perfect place to once more be useful and make kids happy. The resident toys all seem to welcome them with open arms. The leader of the daycare center toys is Lots of Huggin Bear or Lotso (Ned Beatty). His second in command is Ken (Michael Keaton) who falls for Barbie (Jodi Benson). They lead the toys to the caterpillar room. Woody suspects something amiss when he sees the toys in this room cowering. His friends want to stay still believing they are better off here. Woody has to get back to leave with Andy but he only manages to get as far as the tree outside when a little girl discovers him and takes him home where he meets her other well loved toys. They help him find a way to get home to Andy until he hears that all may not be as it seems at Sunnyvale Day Care. Seems all new toys are sent to the room for the rowdy little ones that don’t really play with toys as much as abuse them. When Andy’s toys try to talk to Lotso about it, they realize they are trapped. Woody has to find a way of saving his friends and getting them back to their home before Andy leaves. Pixar once more adds another quality story to the end of the trilogy which started in 1995. The second part of the toys’ adventure was in 1999. Last year the first two movies were released in 3D and this one is opening with a digital 3D print. Before you start to groan over the over abundance of films in this medium, put your trepidations to rest. This one actually works nicely and enhances the quality of the film. Directed by Lee Unkrich who also did Finding Nemo, Monsters, Inc. and Toy Story 2 and it was written by the successful team of Michael Arndt, John Lasseter, Andrew Staton and Lee Unkrich. Anyone who has grownup with his series will feel a tear in the eyes at saying goodbye to those characters that were loved and part of our lives. 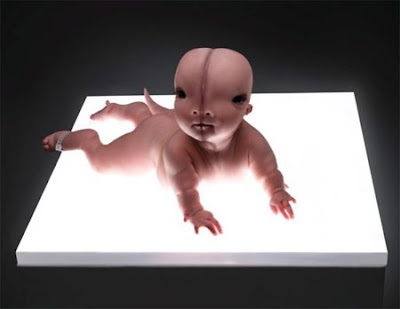 The film is one that parents will enjoy as much as their children. And maybe you will thinks of those toys that gave you such pleasure as a child. I still have my Barbie from 1959. I'm happy to report the pass pickup for Toy Story 3 went quite well. Bicycles Plus had plenty of passes on hand, and let people stand in an orderly line inside with the AC. Passes were handed out at 1 pm as promised. Don't you love it when this happens? Of course this means there will be a "million" kids at the screening tomorrow night, so please keep your cool, relax, it's a free movie. The moderators are ready with the delete button with all the moochers coming out of the woodwork begging for passes. The people that went to the pickup did so with their gas money, time and effort. The only way they are giving them up is if they have an emergency and can't go, so please keep this in mind. Plus the websites offering contests to win passes have not awarded them yet, so please wait to see if you won. Please note the new rule on the front page of the group. AMC theaters are going to enforce their "no outside food" policy. So far they have been lenient with us, but that's ending very soon. So unless you want to jeopardize the screenings at these venues and this includes all the theaters not just AMC, please comply with their rules. Eat before or after movie, or take turns eating with your posse. If you come alone, ask your neighbor to hold your place so you can run down and catch a bite. Don't give the theater employees a hard time when they ask you to toss that big Sonic container. They are only doing their job and you've been warned. 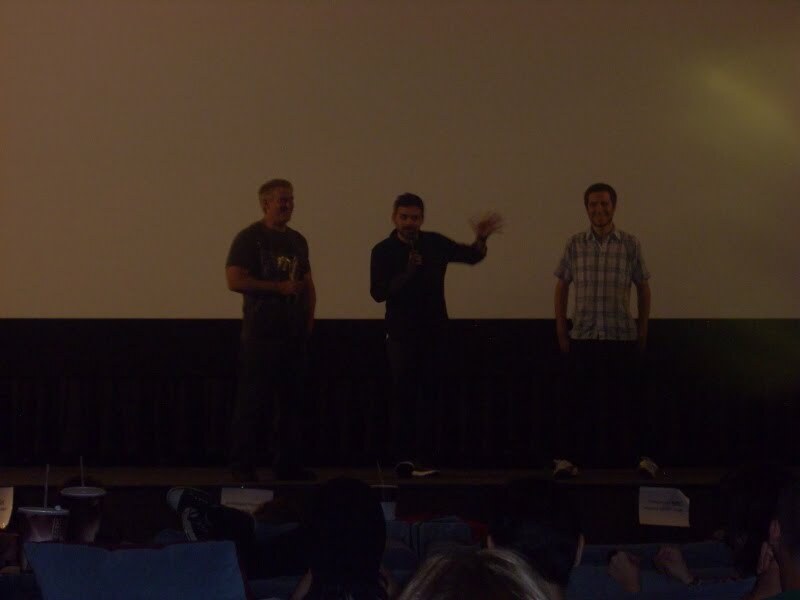 Friday night I had attended the debut screening of The Best Worst Movie documentary about the filming of Troll 2. Deemed the worst movie ever by IMDB.com, Troll 2 has garnered a cult following. Filmed in 1989 by Italian director Claudio Fragrasso and written by his wife, it was cast with small town Utah actors who thought they were just making a low budget horror film. The documentary made by Michael Paul Stephenson who played the young boy in the movie explores how the film was made and why it has gained such popularity. The name of the movie was supposed to be Goblins, but the studio wanted to tap into the Troll movie by naming it as a sequel although it has nothing to do with the first. You don't even have to watch Troll 2 to enjoy The Best Worst movie. The movie stands on it's on as what happens when a bad movie makes good. Q&A with actor George Hardy and Producer Brad Klopman moderated by Gordon and the Whale's James Wallace. Crowd waiting for the next screening of the Best of the Worst at the Landmark Inwood. The track record for films remaking / re-imaging / re-imagining / re-animating the dead, or whatever marketing people want to call it this week, is very poor. It is always sad to see a popular story with iconic characters which has genuine nostalgia and relevance across generations paved over by a train wreck of thoughtless, uncreative indulgence. Thankfully, in the ‘Smith family affair’ called The Karate Kid, this didn’t quite happen. A lot of filmmaking did happen, some quality acting (and some uneven), and Kung Fu action also happened. But there are also problems with Director Harald Zwart’s (Agent Cody Banks, One Night at McCool's, Pink Panther 2) re-telling / re-imaging / re-hash of The Karate Kid. The film tries to be many things – too many, which probably prevents it from excelling in any one area. With being a re-make of such a well-known classic surely to draw scrutiny, its like fighting with one hand tied. You have the classic “coming-of-age” story and the “heroic-overcoming-a-great-challenge” story, mixed with a “learning-to-pick-yourself-up” story, added to the “forgetting-the-awful-past-by-helping-someone-through-a-struggle-and-then-finding-the-strength-to-move-on-with-your-life” story all wrapped up nicely in an “East-meets-West”, aka “fish-out-of-water” story that is supposed to be a heartfelt family “message” movie. The now classic Pas de deux of karate mentor and kid-on-a-mission are played wonderfully by Jackie Chan as a humble Chinese Kung Fu master (and has some great fight action, although brief), now turned maintenance man and the up & coming Jaden Smith (originally “produced” by great stars Will & Jada Pinket Smith). There is genuine on-screen chemistry between the 12-year-old ‘Dre Parker’ who is uprooted from living in Detroit with his widowed mom (Taraji P. Henson) to go live in China to work for an unspecified time at an unspecified auto plant. Moving to China is the major change from the original which serves as a springboard for fresh story elements with the charming young lady classmate and violin virtuoso Mei Ying, played delightfully by Han Wen Wen, whose star is surely to rise as she is capable of stealing scenes as well as your heart. And Jaden is definitely a chip off the ol’ block who definitely pulls off the spunky street-smart “tween” filled with pride and genuine screen presence with style. But the fresh departure from the East coast vs. West coast of the original 1984 classic to going on-location in Beijing also provided the opportunity for the worst indulgence of the film – so much at times you wondered are they showing commercials during movies now? Is the Chinese Tourism Board footage the world’s biggest product placement? Honestly, one more shot of the much touted Beijing Olympic Stadium and I might take a chop at the film. And speaking of editing…Coming in at a ridiculous 2 hours 20 minutes, the film slowed down at times worse than the Beijing traffic! Nonetheless, the cinematography was stunning and major highlights of the film were the sojourn to the great Kung Fu temple in the clouds to meet the fascinating ‘cobra woman’ and the Kung Fu montage of form and training on the picturesque rooftop (one more flyby, please! ), and along the Great Wall. (Make your reservations today!). As a family film, it’s way too long. At my screening, kids got bored and wandered the aisles after about an hour until the action picked up at the end. And as a remake of a classic, it’s NOT a train wreck, but it is a long, slow, and extremely scenic train ride. And it is a journey we have taken before, so we know we’re going to the music-filled training montages. So why are we seeing the Beijing Olympic stadium again? And we know we’re going to the tournament to take on the bully. So why are we seeing the Great Wall and Forbidden City at sunset again? And we know we are going to see the fruits of the Karat—er, Kung Fu Kid’s efforts in growth and transformation which enriches and lifts the spirit of his sensei. So why are we seeing groups of people doing tai chi in the park again and again? In Mexico a couple of cops are torturing an unknown man for information. When they realize they are not going to get what they want from him, they attempt to kill him with his own gun, but it lacks a firing pin. They are in a hurry to meet up with the rest of their crooked outfit and decide to leave him to the dogs. The man turns out to be Col. John “Hannibal” Smith, and he’s got a few tricks up his sleeve that opens his handcuffs, placates the dogs, puts the pins back in his gun, and smiles with satisfaction as there is a tracker in the wad of cash the bad cops are taking to their boss. For anyone not familiar with the TV Show that aired in 1983-1987 with George Peppard, Dirk Benedick, Dwight Schultz, and Mr. T, the film opens re-introducing the characters. Hannibal (Liam Neeson) is the mastermind and he is working with wise cracking womanizer Lieutenant Faceman Peck (Bradley Cooper). On the way to the rendezvous with Peck, he hijacks a van driven by BA Baracus (Quinton “Rampage” Jackson), who just got back his beloved vehicle from the illegal garage where he had previously worked. Smith realized that he’s a former Ranger and he’s recruited for the job. They save Peck, but in order to complete the mission they need a pilot which leads them to break out a questionably sane patient, Capt. HM Murdock (Sharlto Copley) from the hospital. Eight years later, the team is in Iraq running very successful missions for their commander General Morrison (Gerald McRaney). They have the reputation of being able to get the job done, although not quite by the book. They are often butting heads with the black op mercenaries lead by Pike (Brian Bloom) whose animosity knows no bounds. CIA agent Col Lynch (Patrick Wilson) comes to Smith and Morrison with a job to reacquire printer’s plates that are used to print American currency. The mission must be completed completely off the books. It becomes complicated when Capt. Carissa Sosa (Jessica Biel) and former girlfriend of Peck, comes to tell them to stay away from the plates. Of course they don’t follow her advice. The team ends up being accused of running an illegal op, and Sosa thinks they are in co-hoots with Pike to steal the plates. The team pulls out all the stops to discover who is framing them, to clear their names, and reinstate their ranks when they are convicted and sent to separate jails. Directed by Joe Carnahan who also did the manic Smoking Aces movies, wrote the movie with Brian Bloom and Skip Woods. It offers plenty of improbably action sequences that are fun to watch, and don’t tax the brain. The TV show was typical of action shows back in the 80’s with bad acting, cheap production values, but it made it up in the chemistry of the characters. Neeson doesn’t have to playfulness of Peppard as he’s more intense and the rest of the crew honors the original with more pizzazz. Bloom, who once was a pretty boy from the soaps, makes an effective bad guy, where as Biel is a pretty distraction. You can catch episodes of the TV show on Hulu.com, but this movie can stand on it’s own if you are not familiar with the concept. There’s tons of explosions and major destruction which may be overkill. But chances are you may leave the theater saying, “That wasn’t too bad”. home and let someone who would appreciate the feature attend. passes. Please keep the mooching to a minimum. Enter the contests yourself. D'd and you are outta luck. Dre Parker is a popular kid in this Detroit neighborhood when his mother’s job relocates them to China. Not only does he have to contend with major culture shock, there’s the typical gangs of bullies to avoid when he finds a pretty classmate that he wants to befriend. Dre’s American fast talking charm doesn’t seem to work at keeping him out of the way of trouble. Dre’s mom, Sherry (Taraji P. Henson) has enough on her mind with her new job, but she also wants her son to feel comfortable with the transition. She walks with him to the school them embarrasses him with her goodbyes. Dre (Jaden Smith) has already met another American student, and apparently it’s a culturally mixed school. He eyes a pretty young lady Meiying (Wenwen Han), a serious music student, who finds Dre amusing. But Dre’s attentions to her are also noticed by a group of larger boys who insist that Dre leave her alone. Dre is more comfortable trying to talk himself out of a fight, but will not back down by standing his ground. The boys are bigger and obviously more skilled, but Dre keeps getting back up. He ends up with a shiner which he tries to hide from his mother to no avail. His mom wants to fix this for him, but Dre insists he has a handle on it. So he basically works his way around just avoiding the boys and trying to learn some martial arts moves on TV. The maintenance man for their building came over to fix the plumbing sees Dre’s shiner and his practice. He doesn’t say anything, but one afternoon after the boys chase Dre and corner him in a fight Mr. Han (Jackie Chan) comes to the rescue. Mr. Han takes Dre to the Kung Fu school where the boys practice, but the instructor won’t keep the boys from engaging in their harassment. Mr. Han offers that if Dre beats the boys at the upcoming tournament, then they will have to stop. Dre is excited to learn Kung Fu, but his early lessons consists of him taking off his jacket, putting it on a hook, taking it off the hook, dropping it on the floor, then putting the jacket on again; over and over again. There is no catch phrase of “wax on, wax off” here. Dre doesn’t realize how this simple exercise is the start of muscle memory for what’s to come. Jaden and Jackie do pretty well with their cut out characters. Jackie adds a little depth with his sorrowful past. You forget they are in a different country because everyone seems to speak English. 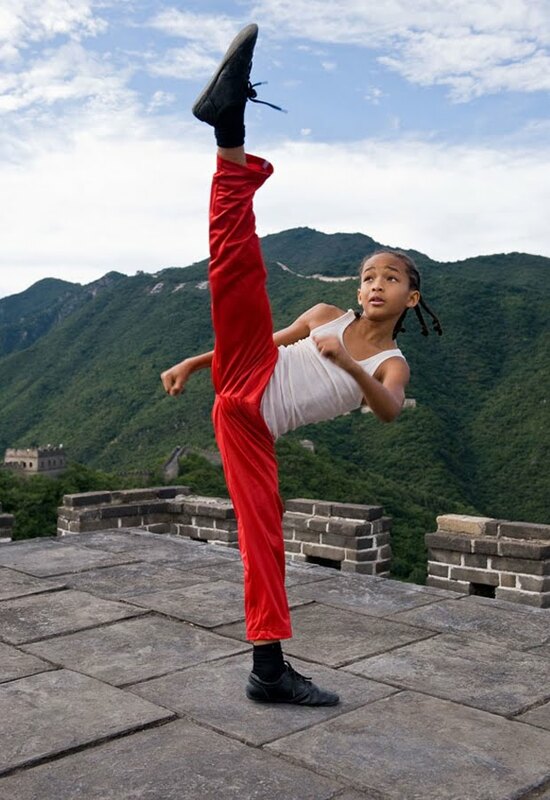 Jaden Smith is much smaller in stature and younger in age than Ralph Marcchio in the original Karate Kid. The basic elements remain the same. New boy in school meets girl, gets bullied by local members of a karate school, and he learns to fight them from the wise guidance of an Asian neighbor. 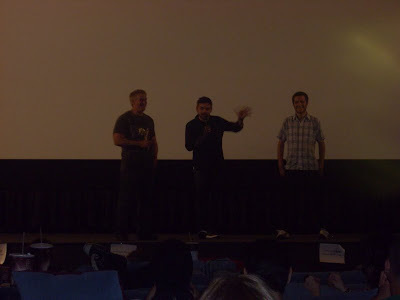 Director Harald Zwart worked with a screenplay by Christopher Murphey from a story by Robert Mark Kamen trading martial arts and Japan for China. Jaden is so little; you wonder how he could possibly fight larger and more disciplined fighters. But it’s an interesting process to watch the physicality of Jaden’s progress. The fight sequences are well done considering these are kids involved. The ending battle like the first movie will make you cheer even if you know what’s going to happen. Adam Greenberg is an idealistic intern for a big record company. When he suggests bringing rock icon Aldous Snow to the Greek Theater in LA for a 10th year anniversary, his boss tells him fetch Snow from England and deliver him to the theater for the performance. Unfortunately for Adam, Snow is an over the top hard drinking, drug indulging, out of control rock star and will not go quietly. The film opens with the truly tasteless music video from Aldous Snow (Russell Brand) “African Child” that was voted the worst record in the entire history of rock music On top of that his long time girlfriend Jackie O (Rose Bryne) and mother of his child just broke up with him and is now dating everyone. He is estranged from his ex-manager and musician dad who is living in Vegas. Adam (Jonah Hill) approaches Snow like a fanboy and willing to do anything that Snow wants including picking up women and partying. Adam is susceptible as he had a fight with his live in girlfriend before he left. He is also drowning is sorrows and easy prey to Snow’s manipulations. This includes nights of debauchery and forcing to hide his drugs where the sun doesn’t shine to get through airport security. All the while Adam’s boss Sergio (Sean “Diddy” Combs) is telling him to do anything that Snow requests just as long as he gets him to the performance on schedule. The buddy road concept takes the duo to New York where Snow is to appear on the Today show. Adam wanting to keep him sober drinks and smokes Snow’s stash, then in that condition he has to track down the lyrics to the song Snow has to perform live. There’s also a stop in Las Vegas to reconcile with Snow’s dad. Adam ends up smoking some concoction that requires stroking a furry wall so as not to freak out. Somehow Adam has to find a way to make peace with his girlfriend and survive this epic journey with Snow in tow. Nicholas Stoller who also directed Forgetting Sarah Marshall and producer Judd Apatow team up again for another manic comedy romp using the same character from the previous film. There’s even a little nod with a small scene with Kristen Bell. The humor is raw and raunchy at times but keeps it above the usual college aged aimed comedies. There are some serious notes as Snow and Adam contemplate their individual issues which help to give the characters more depth. Snow’s music is like power rock with the most amazingly inane lyrics. The performance in front of the live audience came from Russell Brand’s comedy act before the filming started. The background scenes of Snow with various other celebrities were done while Brand as hosing the MTV movie awards. Leave the kids at home and enjoy. Ben Kalmen was a car magnate who through a series of bad choices both personal and professional finds him self alone and estranged from his family and friends. Ben (Michael Douglas) was told by the doctor that his heart needs more tests. Instead, he starts down the path of self destruction thinking he may as well live doing whatever he wants until his heart gives it up. The once famous car dealer known for his honesty starts cheating his customers and having one night stands. Six years later he’s lost his business, he’s divorced from Nancy (Susan Sarandon) and his daughter Susan (Jenna Fischer) has a guarded relationship with her father although Ben dotes on his grandchild. Ben also has a new girlfriend Jordan (Mary-Louise Parker) who asks Ben to take her daughter Allyson (Imogen Poots) to visit his college and use his influence with the dean to get her admitted. Allyson blackmails Ben into letting her have some freedom on this trip if she doesn’t tattle to her mom about catching Ben in one of his infidelities. They are met on campus by Daniel (Jesse Eisenberg) who Ben offers advise on how to pick up women. Ben is incorrigible about his prowess with women. He’s a car salesman and always closes a deal. He has big plans to build a new car dynasty using his girlfriends’ fathers influence. Everything looks great until Ben in his typical selfish pattern does an unforgivable mistake and Jordan destroys his second chance at success. The world is falling apart around him, but Ben keeps hustling, hitting his daughter up for money, and carousing until there’s no where else left for him to go. 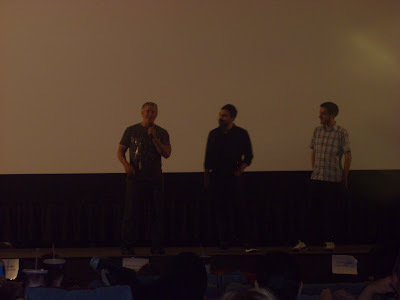 Co-directors David Levien and Brian Koppelman (who also wrote the screenplay) keep the film well paced. Susan Sarandon doesn’t really have much to do besides look patient and understanding. Danny DeVito as his old friend Jimmy who gives him a job at his sandwich shop gives Ben a balance. Jenna Fischer stands out as his daughter who loves him but must protect herself and her son from her father’s downward spiral vortex. Douglas plays Ben with an unflinching bravery. The unforgiving camera captures Ben with complete honesty. Ben describes himself as once being a lion that held attention when he entered a room but now he has suddenly become invisible. It’s hard to be sympathetic to Ben as he’s such a scoundrel, but Douglas gives us just a glimpse of something else there that makes you want him to either wake up and smell the coffee before it’s too late or go out in a blaze of glory.